Synopsis: Following the events of Armageddon and World's End the world has been devastated by a post-human event. John Lynch is left alone amid the wreckage of society and vows to continue his vendetta against Tao (Tactically Augmented Organism). Tao has enslaved Void and Providence to do his bidding. The odds are impossible and Lynch plays his final card -- reuniting Team 7! Pros: Christos Gage writes most of the stories and gives the volume a necessary cohesion, some really great up-and-coming artists, Team 7 is back! 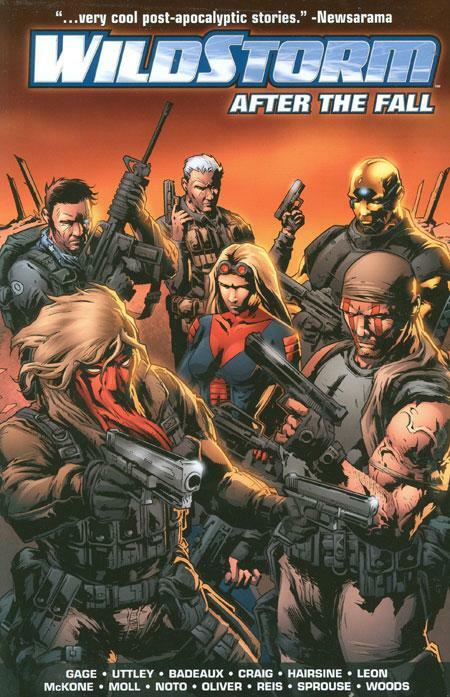 Mike Tells It Straight: This volume fills in the gaps after the World's End storyline rocked the Wildstorm Universe. These stories were originally backups in a slew of Wildstorm titles, but attempting to read them in any sort of consistent order was incredibly difficult during publication. When the collected editions for the main storylines came out they excluded these backups and I was worried they would never see reprint. Now we get all of the backups in one place. 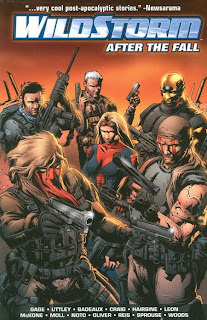 Readers need prior knowledge of the characters and Wildstorm events leading up to these stories or they will be lost. Armed with most of this prior knowledge I enjoyed seeing some old faces (like Cybernary) and the return of Team 7.